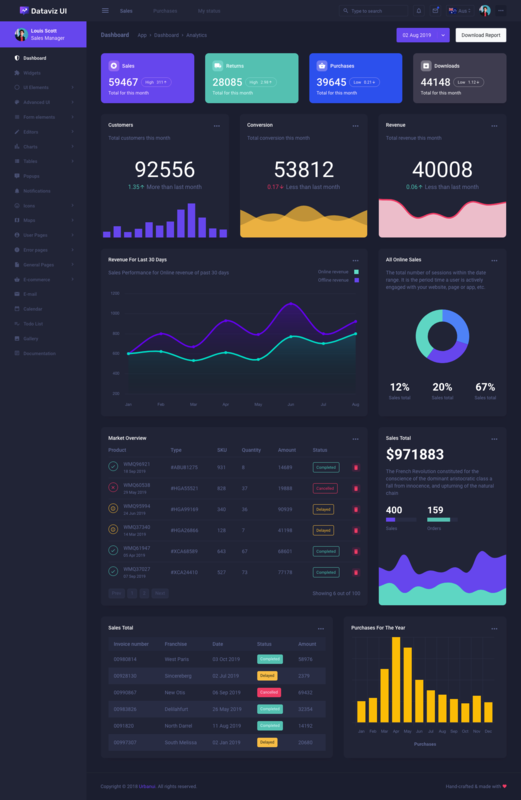 The DatavizUI Bootstrap admin template that is equipped with plenty of handy features and useful tools will surely impress website designers who are in search of a highly responsive and user-friendly website template. This fascinating template, which is built with CSS, HTML5, jQuery, SASS, and the Bootstrap framework gives you access to an extensive collection of elements that makes website designing a fairly simple process. 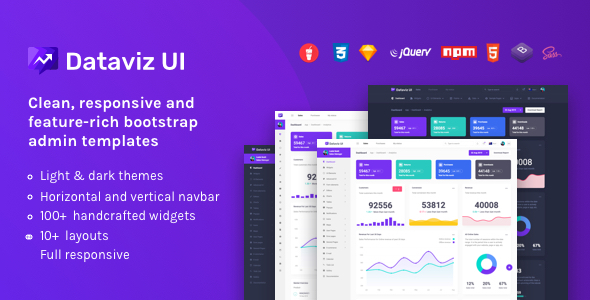 Since, DatavizUI Bootstrap admin template has a clean and well-commented code, developers including beginners will be able to easily comprehend it. The striking design and incredible flexibility of this website template will enable you to add a unique touch to your website. Moreover, you can even use the multiple numbers of layouts and color theme styles to make your website look even more appealing. 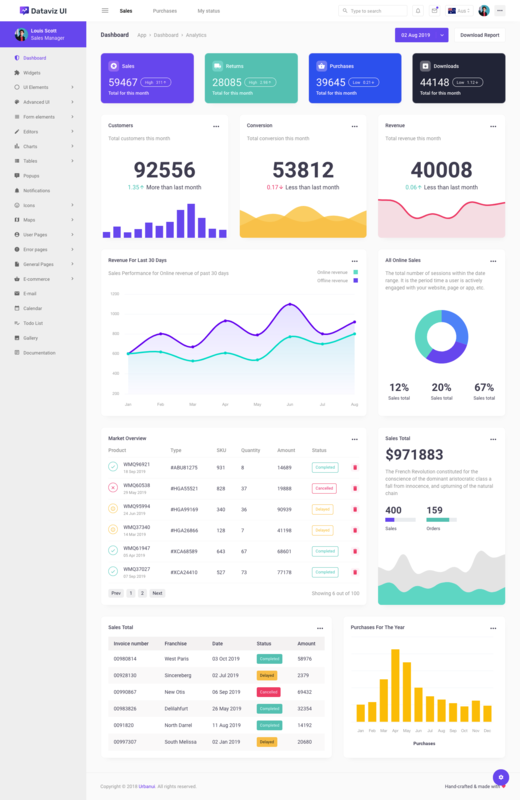 The highly responsive DatavizUI Bootstrap admin template is equipped with an abundant number of valuable elements. 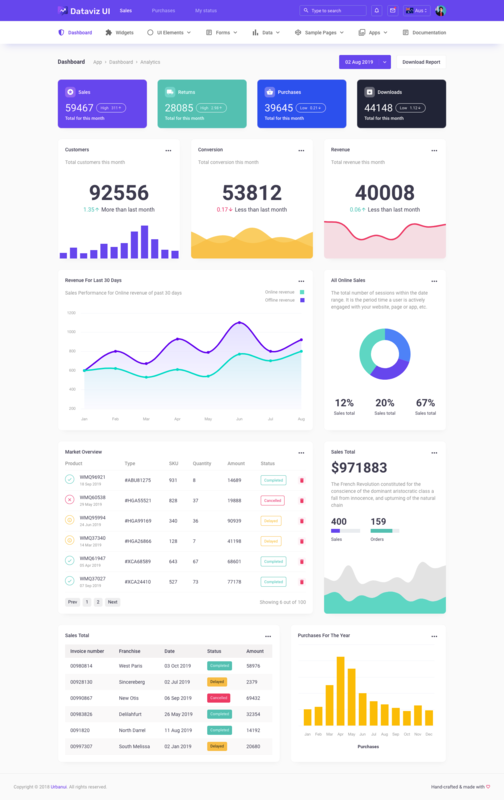 If you wish to make use of a wide variety of charts, tables, maps, layouts, and page styles, then you do not need to look further because the DatavizUI Bootstrap admin template has got you covered. Finally, the styling of the template is done with the help of the SASS preprocessor for simpler coding and customization.